You want the best for your client and so do we, so we have formatted our Bottega showroom to help you better manage design schemes, color selections and materials. Our extensive selection of unique exotic and luminous materials with bold movements and colors can help set your project apart from the rest. Our display area offers you and your clients a comfortable and inviting environment to spread out and select their "perfect slab". Designers and architects are welcome to use our design studio and resources at any time. Bottega is centrally located in midtown Atlanta providing great accessibility from all parts of Atlanta. We strive to provide exceptional customer service; please feel free to contact us at any time. Bottega is the choice for Interior Designers in Atlanta to find everything from exotic stone countertops for a modern, artistic look to classic marble and granite coutertops for more traditional kitchen and baths. For your stone slabs, look no further than Bottega by Stone International. 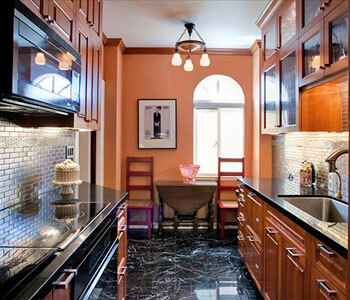 We can provide you with all of your Atlanta granite, marble and other natural stone needs. 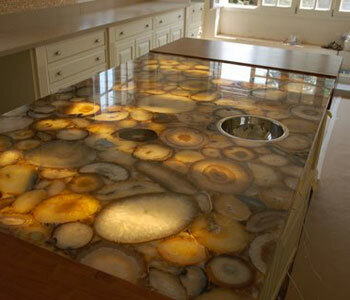 Choose your favorite stone and finish, and let us provide you with the countertops, tiles, or other materials you need!